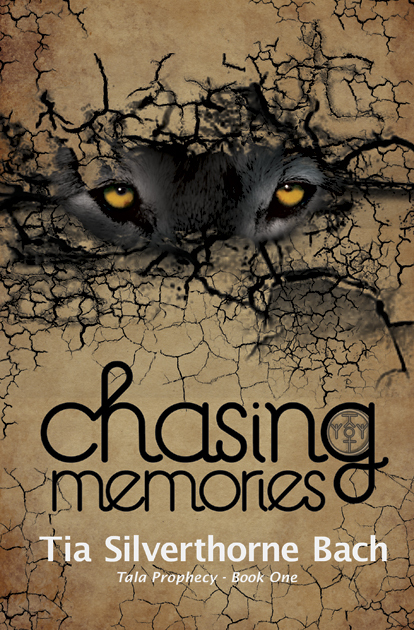 Welcome to the Chasing Memories by Tia Silverthorne Bach blog tour, put together by Tribute Books. I'm happy to have Tia on my blog today, especially since she is a fellow blogger. I'm excited to support her as a new author and was lucky enough to get a copy of her book to review for this tour. I hope everyone checks her book out. Thank you everyone that checks out this post and my review. Seventeen-year-old Reagan has a problem: She can’t remember what happened the night her brother was taken. Now, the dreams haunting her from the incident are becoming more intense by the day. All the while, the lines between what’s real and what’s a product of her paranormal-obsessed mind are becoming blurred. Reagan wasn’t happy about going camping with her family and having to share a tent with her younger brother. Little did she know the first night would be the only night of camping and an end to the life she had before the trip, caught between hiding from the memories and embracing them to learn the truth about what happened that fatal night and who she really was. 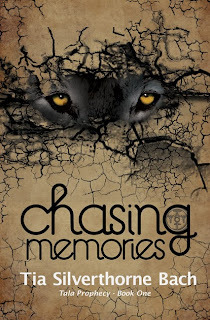 Chasing Memories was a fast read and nice introduction to the series. I enjoyed getting to know Reagan and watching her work through what happened and secrets that she didn’t know about her family before. It is a journey of growing and learning about herself and what she will do to know the truth. The story starts with a terrible event that spins the story into a mystery because Reagan doesn’t remember what happened. Bits and pieces come back in the form of dreams – which, in turn, helps the reader try to figure out the mystery as well. When the book ends, there are still a lot of questions that need to be answered, propelling the reader to want to read the next book in the series. I received this book for review from Tribute Books. Thanks so much for hosting me today. I appreciate the support and your review. I'm working on book 2 now, and Reagan has a lot more truth to discover. Lovely blog, by the way. I loved this book! It is engaging and mysterious! I became invested in the main character and was surprised by the plot twists. A great read! I just saw this. Thanks so much, Cleo!